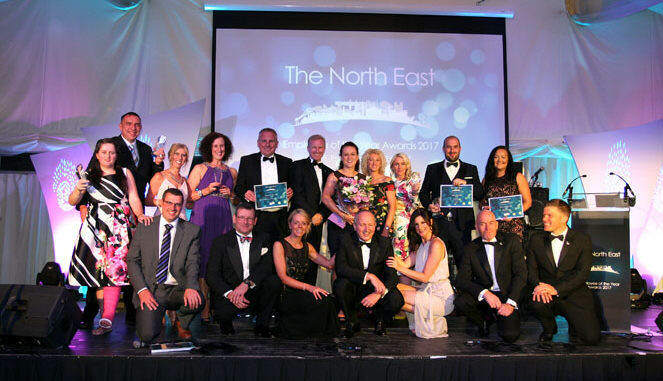 Employees from around the region enjoyed an evening of celebration at the North East Employee of the Year Awards. Hosted by the BBC’s Anna Foster, the awards ceremony welcomed over 200 guests to the Grand Marquee at Wynyard Hall Hotel. The bash was an opportunity for teams and individuals from a variety of industries to be recognised and rewarded for all their hard work. The evening, featuring a three-course meal and entertainment from Newcastle’s very own Hip Hop Hooray, was run in partnership with Tesco Underwriting with additional sponsors Harvey & Hugo, KMS Partners, Smart Utility and Human Group. The prestigious title of North East Employee of the Year, which was selected from all category winners, was awarded to Sophie Moorby of Go North East, who was also named Young Employee of the Year award. Other award winners included ‘Best Apprentice’ Ellie Barton from the Darlington branch of Hays Travel who achieved ‘High Flier’ status within her first year with the Company. Cleveland and Durham Police Special Ops Unit, the very team featured on TV’s Police Interceptors, won the Team of the Year award, sharing with the audience their delight in seeing how the show has inspired a generation.